From top left to bottom right: Le martirologe: ou L’histoire des martyrs de la Révolution by Jean-Gabriel Peltier (1760-1825), Constitution de la République Française: proposée au peuple français par la Convention nationale (1795), Chanson nouvelle: sur l’air: Ahi povero Calpiggy! published by Lefranc (1790) and Epître aux chevaliers français (1791). Photo: UBC Library Communications. Students, researchers and members of the wider community will now have access to newly acquired original pamphlets from the French Revolution through the University of British Columbia, thanks to a partnership between the Department of French, Hispanic and Italian Studies (FHIS) and UBC Library. In addition to exhibits and public lectures by leading historians, the partnership is introducing a new research seminar that will allow students to work directly with the primary sources — not from behind glass displays or digital screens, but with their own fingertips. “By physically encountering these texts with their senses, I hope students will develop a deeper understanding of how ideas circulated during the French Revolution, and how they played a major role in the way people understood the events they took part in,” states Associate Professor Joël Castonguay-Bélanger, who will be teaching the course in January. The UBC Library French Revolution Collection contains a wide variety of original materials that reflected on and contributed to the political transformation that took place between 1789 and 1799. Notable pieces in the collection include La semaine mémorable (The Week to Remember), written in July 1789, a few days after the Bastille was taken, and Constitution de la République Française: proposée au peuple français par la Convention nationale (Constitution of the French Republic: Proposed to the French People by the National Convention), a constitutional document written in 1795 heralding the notion that all human beings have the right to liberty, equality, safety, and ownership, regardless of their origin of birth. Authors range from well-known political figures like Maximilien Robespierre and Jean-Paul Marat, to unknown writers who nonetheless contributed significant political commentary. 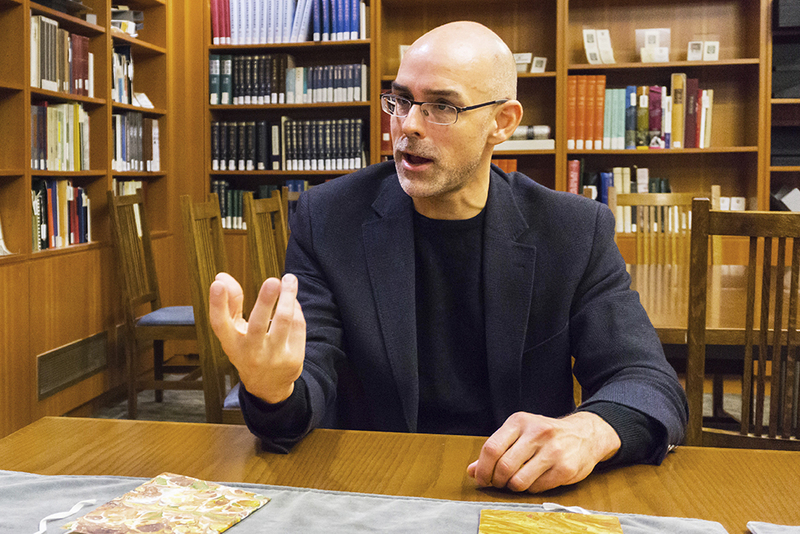 UBC Library purchased the original 111 pamphlets in the French Revolution Collection as a single collection from Martinus Nijhoff: Antiquarian Book Dealers in The Hague more than 40 years ago. After receiving a generous endowment from Dorothy Dallas, former professor of French literature at UBC, a natural partnership formed between the Library and FHIS to continue expanding the collection, with funds dedicated to the advancement of research in 17th and 18th century French studies. Those who would like to view the collection can visit Rare Books and Special Collections in person. Associate Professor Joël Castonguay-Bélanger, Department Head of French, Hispanic and Italian Studies at UBC. Photo: UBC Library Communications. The Department of French, Hispanic and Italian Studies at the University of British Columbia is a vibrant centre for the study of Romance languages, literatures and cultures. The faculty is composed of specialists whose expertise range from second language acquisition and linguistics to literary and cultural studies. 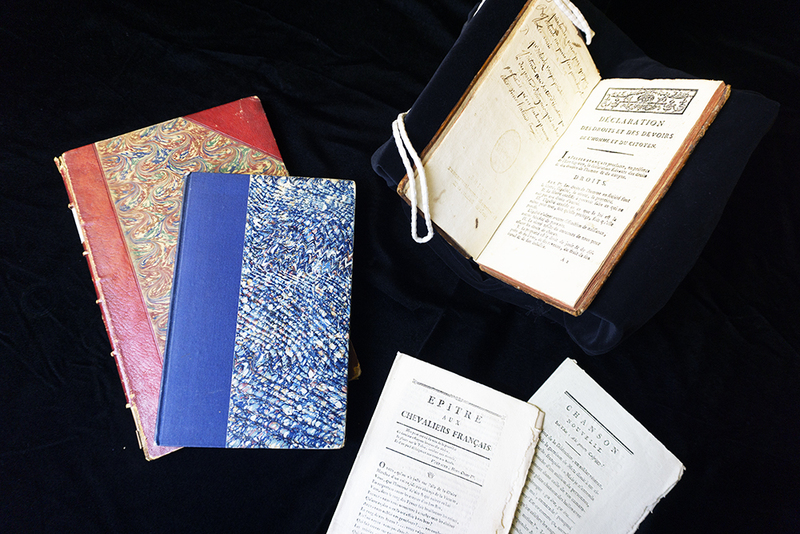 Rare Books and Special Collections at the University of British Columbia Library houses significant collections of rare books, archival materials, historic maps, photographs, broadsides and pamphlets. RBSC supports primary research by scholars from UBC and around the world and their resources are used extensively by members of the general public in British Columbia.